Dr. Nancy Krieger, PhD, Professor of Social Epidemiology at the Harvard T.H. Chan School of Public Health, will discuss how health inequities in the US today reflect how people biologically embody structural injustice, both past and present. Challenging the dominant view that the only inheritance that matters for health is genetic, she will consider the ongoing health impacts of the socially inherited histories of Jim Crow and racialized economic segregation. Using ecosocial theory, which considers who and what drive societal patterns of disease distribution, Dr. Krieger will explore why thinking historically matters for challenging structural injustices and advancing health equity today. 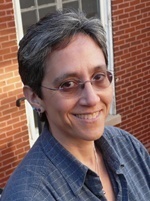 Dr. Krieger is an internationally renowned social epidemiologist with a background in biochemistry, philosophy of science, and history of public health, combined with decades of experience as an activist at the intersections of social justice, health equity, and science. Co-sponsored by: Yale Center for the Study of Race, Indigeneity, and Transnational Migration; Yale Sociology Department; Epidemiology of Microbial Diseases Department, YSPH; Yale School of Nursing; Solomon Center for Health Law & Policy, YLS; Social and Behavioral Sciences Department, YSPH; Equity Research and Innovation Center, YSM. A reception will follow the talk in the Alumni Reading Room.